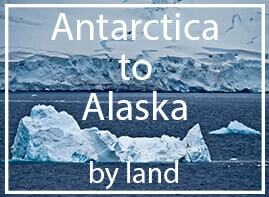 For the best rates book direct on the Hotel Leopold I website. For the latest events, pictures and special offers check out the hotels Facebook and Instagram feeds. 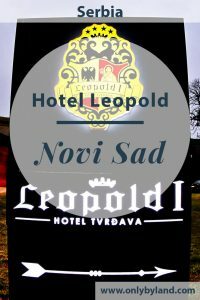 Hotel Leopold I is located on Petrovaradin Fortress, the most visited site in Novi Sad. 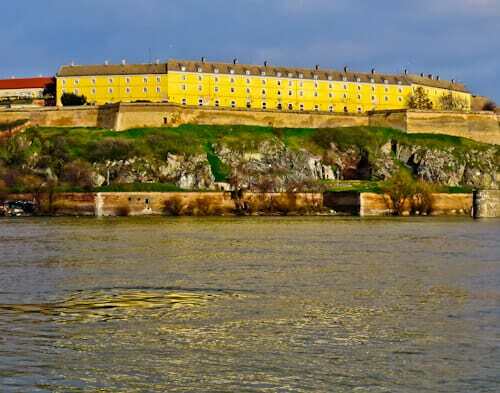 When you visit Novi Sad you’ll be planning to visit Petrovaradin fortress, Hotel Leopold gives you the opportunity to stay overnight on the fortress too. 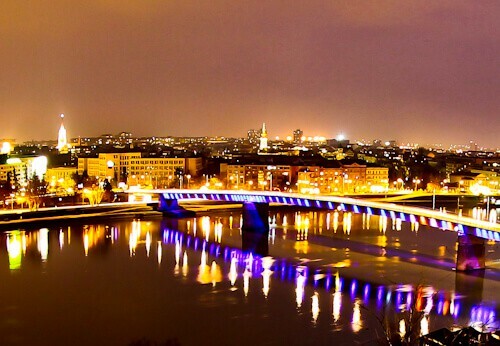 In addition, from the fortress, you have an amazing view over Novi Sad. The sunset over Novi Sad viewed from the fortress is always a beautiful experience. Each year the EXIT Festival is held on Petrovaradin Fortress and Hotel Leopold I is the best place to stay for this event. To get to to the center of Novi Sad from the fortress is either a cheap taxi ride or a 20 minute walk. 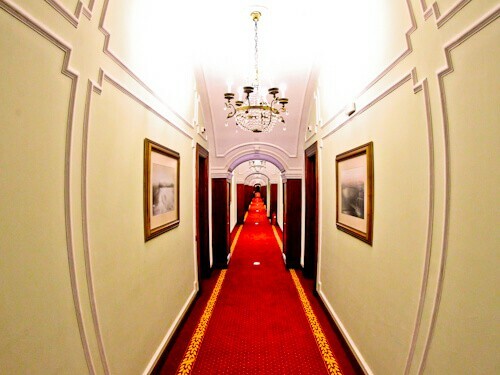 As soon as you enter the hotel, you will feel the historic vibe. As well as a historic vibe, you’ll see a lot of elegant decorations. The reception area is lit up by a beautiful chandelier. To complement the elegant decorations are friendly and professional staff. Staff are available 24 hours a day to ensure you have a comfortable stay in the hotel and make the most of your time in Novi Sad. To take full advantage of your time on the fortress, staff can arrange a visit to the fortress underground. 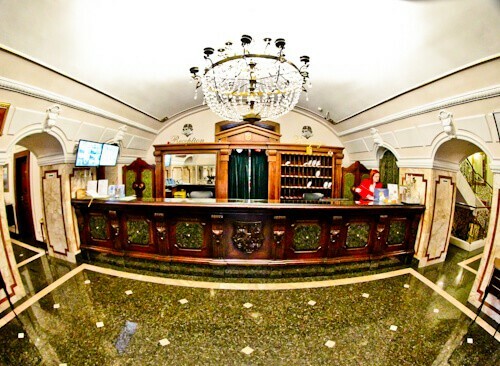 Additionally, the staff are very knowledgeable on the history of the fortress and hotel. You may choose a historic room or a modern room. I would go for the historic room as they are unique to this hotel. Where else in the world can you stay in a hotel room as elegant as this one (above)? 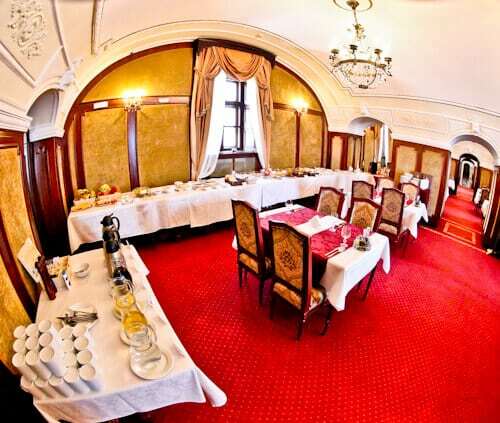 The historic rooms are perfect for couples visiting Novi Sad. As a solo traveler visiting Novi Sad, I was very happy with the room too! As well as an elegant room, the en suite bathroom is just as elegant and includes all necessary amenities. 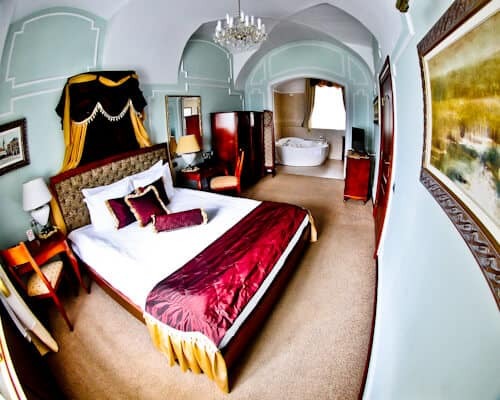 In contrast to the historic surroundings, the rooms have complimentary, reliable and fast WiFi. If you’re the type of person who prefers to stay in a room with modern decor, Hotel Leopold I has a modern wing for you. 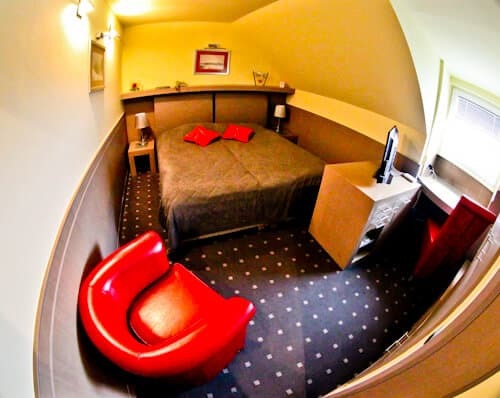 The room includes modern furnishings and you will forget that you’re staying in a historic fortress. In addition to cable TV channels in English, you have access to reliable and fast WiFi connection. Whether you choose a historic or modern room, you are guaranteed a beautiful view. You have a choice of a city view or a fortress view. I strongly recommend the city view (above). I photographed the view at night but it looks even better during sunset! It’s a romantic view to match the romantic historic rooms. 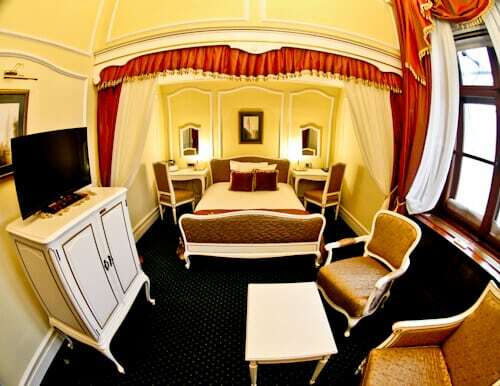 The rooms at Hotel Leopold I are incredible value so this could be the hotel you choose to go for an upgrade. In fact, you could make the ultimate room upgrade and stay where royalty has stayed. The Holy Roman Empress, Maria Theresa stayed regularly in the hotel. In fact it’s rumored her ghost walks the hallways at night. The famous Yugoslav leader, Tito would regularly stay in the hotel. In fact you can choose to stay in his preferred room (above). This room is fit for a king and comes equipped with a Jacuzzi. In addition to the royalty and world leaders who have stayed at the hotel, several Hollywood stars have stayed here too. As well as the complimentary breakfast buffet, you may choose breakfast from the a la carte menu. The breakfast buffet includes, fresh breads, sweet pastries, fresh fruits, cold meats, hot meats, cereals and yogurt. To drink there is a selection of fruit juices in addition to tea and coffee. You can select continental as well as local dishes from the a la carte breakfast menu. The restaurant remains open throughout the day it’s worth viewing the menu if you decide to visit later in the day. 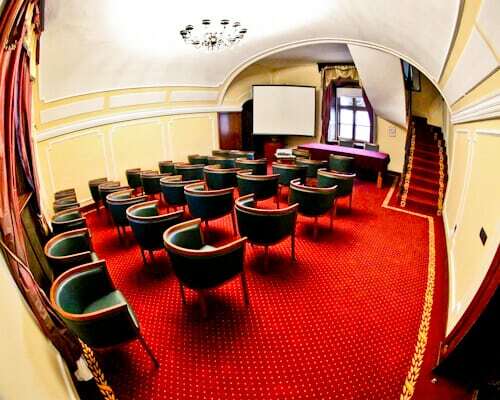 For those traveling to Novi Sad on business you have access to the conference room. Although this is a historic room, modern conference facilities are provided. It’s conveniently located close to the restaurant and bar so you can keep the coffee flowing throughout your meeting. It also makes a nice change to hold a business meeting in a unique historic room as oppose to a modern conference room. The hotel is huge and it’s worth exploring as you’ll be rewarded with several Instagrammable locations. You’ll find several chandeliers, paintings, elegant sofas, mirrors and endless photogenic objects. I would compare exploring the hotel to exploring a palace. The hallway pictured above is the hallway the ghost of Maria Theresa walks at night. Make sure you explore the hotel, you’ll be rewarded with many photos to fill up your Instagram feed. Also make sure you ask the staff about the underground of Petrovaradin Fortress. If you are planning on staying here for the EXIT festival I recommend you book as far in advance as possible! Great review! I’m looking at this hotel for an upcoming trip. Do you have to walk up hill to get to the fortress and the hotel? 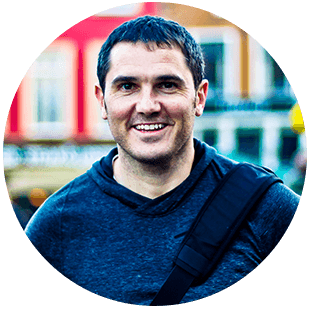 Hi Sarah, you can take a taxi to the hotel entrance, they’re very cheap in Novi Sad. Alternatively, you can walk up stairs to the top which are interesting as you walk through underground areas up to the fortress. Be sure to view the Tito suite in the hotel!